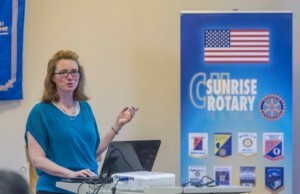 Andy Robinson spoke to C-U Sunrise Rotary about the efficiency and cost of solar energy on June 22, 2017. 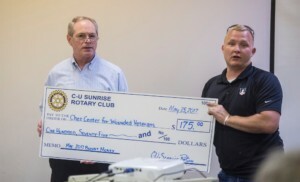 President Rod Roberts presents a check May’s Bucket Money to Garrett Anderson of the Chez Center for Wounded Veterans in Higher Education during the Thursday morning meeting on May 25th. 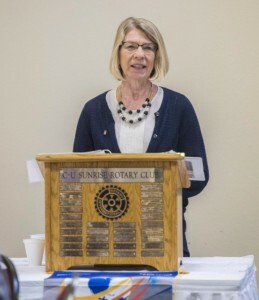 Mayor Diane Marlin unveils her plans for the city of Urbana to C-U Sunrise Rotary Club members on May 25th. 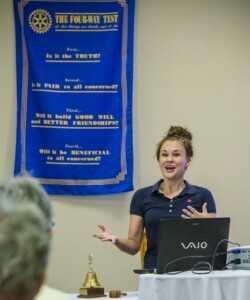 Champaign County Humane Society’s Alicia Schneider gives us a great overview of the goals and services of the organization. 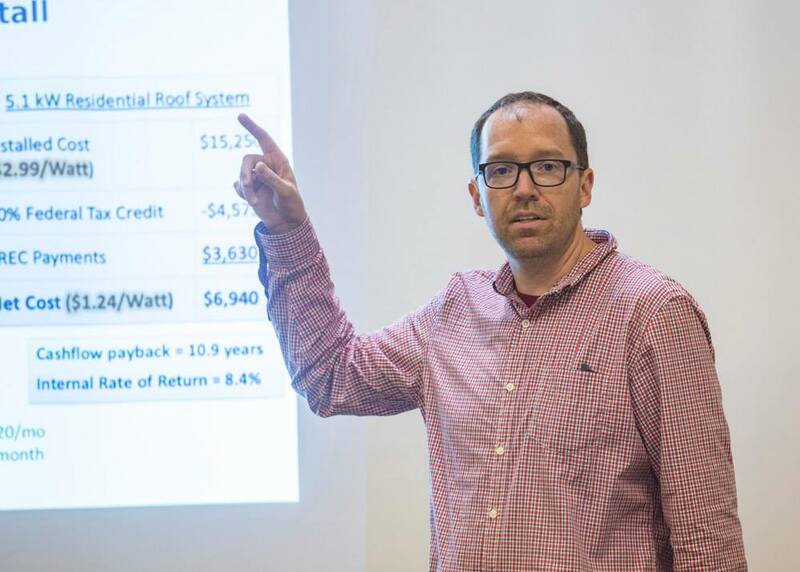 Fascinating update on campus sustainability issues by Morgan Johnston, Director of Sustainability, Facilities and Services, UIUC. 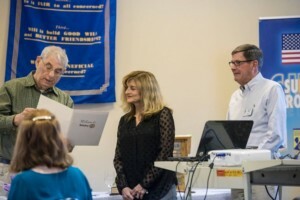 President Elect Bob La Charite presents new member Candy Loyd to the C-U Sunrise Club on April 13th.